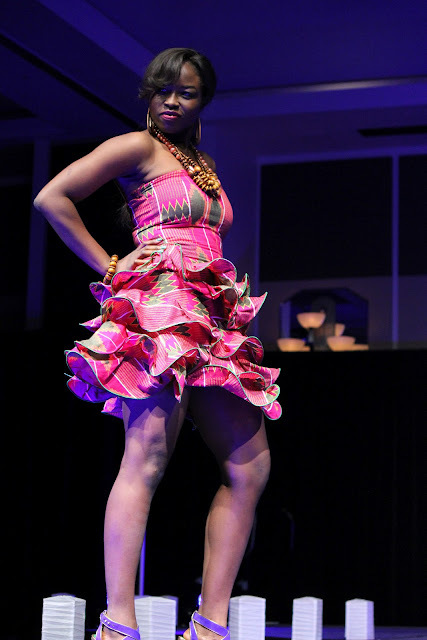 The International Fashion Show at UCF returned with its first show in four years. Both traditional and modern fashion styles were displayed from over 14 nations, showcasing different cultures around the world. “We worked with several groups in putting this on, and with hard work and determination, we got the event going again,” said Trevor Presaud, SGA executive cabinet member and show co-organizer. Members of several different student cultural groups organized the models, clothing, and outfit changes between style sets. Brightly colored patterns and designs going back hundreds of years started the traditional portion of this event perfectly. Styles from the countries of India and Iran stood out as the most elaborate in their design and complexity. Tribal African styles from Nigeria and the Caribbean were also another notable contribution with their strong use of colors on richly detailed garments. European styles were also featured during the show, starting with three models wearing classic brightly colored and tight fitting french outfits inspired from the 1960s. Next, a fancy kilted skirt was worn by Megan Selva to represent old time Scotland. There was also a flamboyant Spanish style dance performance from Jenny and Ernesto Caballeros between the major points in the show. The costumed capes flew and castanetas clacked wildly throughout this fast and exciting transition. The second portion celebrated modern fashion from many of the same countries. The models showed pieces that can be bought in any high-end fashion store today. Modern fashion from foreign countries still draws on styles going back to their traditional roots. “I think this whole show is very nice and shows a lot of different cultures very well,” said audience member, Lesie Pleasants. Her daughter, Kaitlyn Pleasants, was one of the featured models. The show included musical performances by the Flammable Babylon Percussion Ensemble and Florida Tribal Dance group. And after the final walk for all the models, another group from Club Kreyol gave a dance routine displaying provocative dance moves from the Caribbean. International foods like Indian chicken tikka and other treats were provided to those in attendance to further the cultural immersion.. 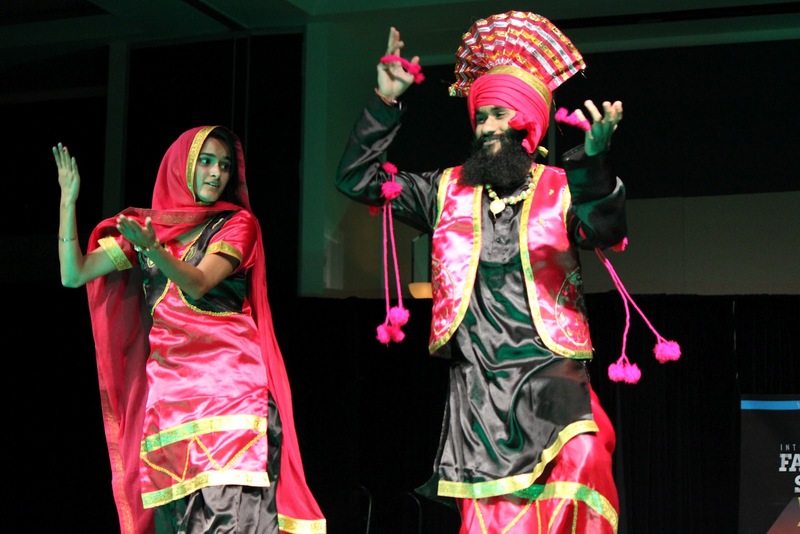 This richly complex groups at UCF successfully showcased much of the cultural diversity that makes up their campus student body. The same groups hope to bring back the event next year and continue this tradition of embracing and celebrating cultures from around the world. Modern fashion modeled at the UCF International Fashion Show. Two models smile and wave while showing off traditional fashion from Japan. Several students displayed sets of outfits like this traditional fashion pair from India.